We want to welcome you to our new podcast series. Any questions or concerns, please feel free to reach out to us. We want to start by telling you how we got involved in The Infinite Banking Concept and why we are such believers. My name is Pedro Palicio and I have been a Financial Professional for over 20 years. My wife Isis and I started Universal Wealth Managers LLC in 2005, with the purpose of offering our clients unbiased insurance brokerage and financial advisory services. It all started during the financial crisis of 2007-2008, when I concluded that “conventional financial wisdom” was based on faulty premises and to properly serve our clients and protect them from the greed, corruption, and irresponsibility of Wall Street banks and financial institutions, a paradigm shift was in order. I made it my mission to find ways in which individuals could accumulate money that they could control and that was not exposed to the risks of the stock market. 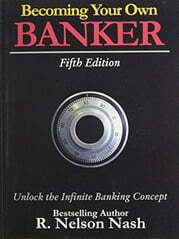 In 2010, I saw an old colleague who gave me a copy of Nelson Nash’s “Becoming Your Own Banker”. After a couple of readings, the concept seemed to me “too good to be true”. I tried to poke holes into the idea, but the more I tried, the more I became convinced that that 92-page book made a lot of sense. In short, nothing has had a more profound impact in my personal and financial life than reading the masterpiece “Becoming Your Own Banker”. It convinced me that most of my financial education and experience was not based on reality, but on flawed premises and that the only way to control my financial future was to control the banking function myself. It has provided me, my family, and my clients with financial independence and peace of mind.